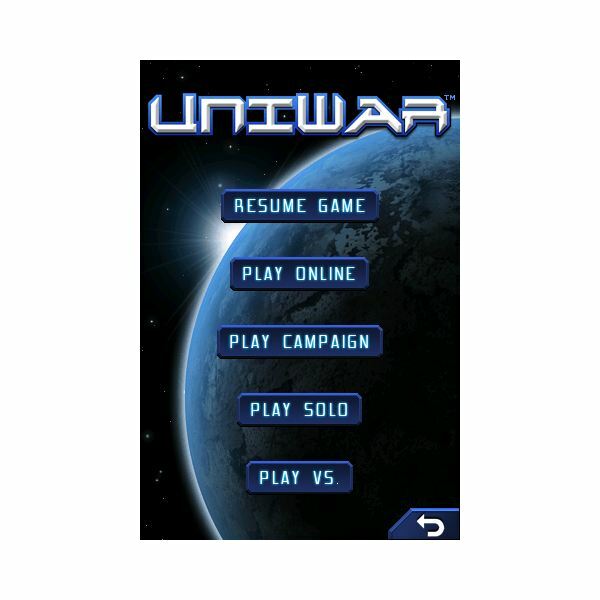 UniWar is one of the most popular mobile strategy games. Available on a wide range of mobile devices this turn-based strategy game has some of the feel of games like Starcraft, but allows you to easily play a number of games at once and build up an online rank. In order to do this you need to understand the basics of UniWar strategy. You'll need to adjust for each race that you play, as well as understand the most basic rules of winning the game. Grasping this will make the entire process considerably more fun and far faster than if you try to learn the basic strategy on your own. These strategies should also work well for both the campaign mode and even against other players with some basic adjustments. Even more than the average strategy game UniWar is about simple resource management. In most cases you are going to be getting the same amount of resources as an opponent each turn. This means that your goal needs to be to cost your opponent more resources than you lose. This means that trading two small units for one bigger one is generally a big advantage. This is one of the reasons that the ranged attacks can be very useful. For example building a wall of marines with ranged attack units and helicopters behind it can allow you to wear down your opponent as you build up more troops. The other major point of general strategy is capturing and holding bases. In nearly every case holding even a single base more than your opponent is going to result in an eventual victory, so long as you are not giving up too much to get it. In those situations where you can capture an extra base it is usually going to be worth the effort. The most human of the three races, the Sapiens are the best offensive race. They have the marines as their cheapest unit and the engineer as a non combative unit that can reprogram some of the Titan's smaller units as well as creating an EMP. If you are playing Sapiens in general you want to attack as much as possible. When fighting the Kharleans you will likely want to focus on the helicopters. These can help to overcome the speed advantage of the Khalreans. The marauder can also be useful in this way as it effectively has two turns each round. Against the Titans the issue is that the marines and marauders are not all that useful and ranged attack can be problematic. In addition the teleport makes stopping the units which can take bases difficult. Your main advantage is that you should be able to get ahead of them in numbers of troops. This is vital to keep the advantage, so be patient and keep going until they make a mistake. The biggest advantage of the Kharleans is speed. Take advantage of this because if you let either of the other races build up they are going to rip your units to shreds most of the time. This is one of the reasons that this race is often the least popular of the three. Against the Sapiens you need to focus on removing helicopters from the equation as much as possible. These can kill some of your best units very easily and will wear you down. 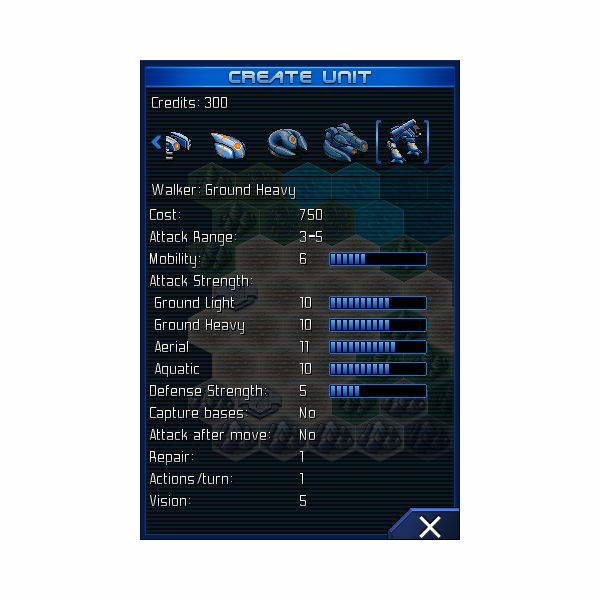 One of the most important tactics is to get several swarmers into the air quickly and force the opponent to continue to build units to defend, never allowing them to build up the reserve of credits they need to build the units that can really defeat you. Against the Titans the biggest advantage you have is that they will have a high unit cost. If you can use a few weak units to destroy one that costs considerably more you should be able to wear them down most of the time. In addition their repair rate is bad. This means that you should be able to bring in troops, wipe out their larger units and then heal your units before they have more units ready. It is simply vital to do it before them. The Titans are both slow and expensive. In addition to this they also generally have very slow regeneration. Still, they can almost always win against either of the other races by simply wearing them down. This is generally most effective by using plasma tanks to defend and the walkers behind them to use ranged attacks to destroy opponents. Against Sapiens the general advantage is to wear them down and then once you have one of their bases surrounded, teleport a unit in to capture it. The main advantage of this is that you will have to build less units and can do so after you have effectively captured it. You must be careful though because without other units to fight, the Sapiens will build an engineer and capture your unit. The Kharleans are the fastest of the races, but if you can capture the same amount of bases and hold them you should be able to gain on them simply by forcing them to attack into very well defended areas and if you ever begin to get ahead it should be easy to win. UniWar strategy has to change considerably based on individual maps and the alternate strategies of your opponents. You will have to contend with water and other difficulties. Still, the basics of strategy remain the same for almost any map and if you can force your opponent to use more resources than you do, then over time you will wear them down. Once you have gained a couple of units more than your opponent it will almost always be easy to begin to capture bases. If you can capture even one more base than your opponent then after that you are going to find you can crush them very quickly. If you have any UniWar tips of your own then please post a comment. Sources : Author's own experience. Images: Screenshots from UniWar for iPhone.